Rotorua X would like to thank all of our partners, collaborators and sponsors. We could not offer our events and programmes without the tremendous and generous support from all these fabulous organisations. The Rotorua Energy Charitable Trust is a community-focused not-for profit organisation that exists to create a better Rotorua for all. Established in 1994 to serve the community of Rotorua, the Trust was formed out of the sale of Rotorua Electricity Limited, with initial capital of $32 million. Through careful management by past and present Trustees and staff, this capital has grown to over $145 million, with more than $107 million invested back into the Rotorua community since the Trust’s inception. They work with a wide range of community organisations, which collectively, have a positive impact on nearly every Rotorua resident. Firestation is the only Business Growth Centre in the Central North Island that offer a range of business coaching, programmes, marketing services and office facilities to ignite business success and growth. Firestation are the driving force behind Rotorua X and undertake organisation, facilitation and marketing of all events and initiatives. Toi Ohomai Institute of Technology have been supporters of Pitch since 2014 by providing their wonderful facilities for the venue. From 2015 they increased their support and came on board as a Pitch Night Partner. BNZ Partners have supported Rotorua X as a Platinum sponsor since its inception in 2009. 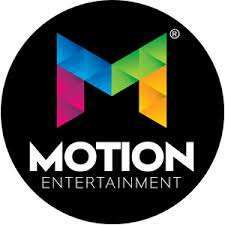 Motion Entertainment is New Zealand’s No.1 Entertainment Mall and largest all-weather action-packed indoor entertainment centre. If you are looking for laughter, excitement, adventure and fun all under one roof then Motion Entertainment is a ‘must do’ on your visit to Rotorua. Beany provide full accounting services for their platinum sponsorship. Mark and his Great Boards team work collaboratively to empower SME, NFP and Farming boards and their organisations to help them perform better. 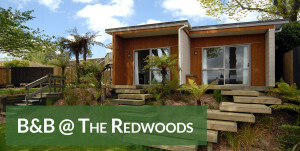 Bayleys Rotorua specialises in Residential, Lakes, Lifestyle, Farms, Commercial and Industrial. Peppers on the Point provides exclusive Rotorua accommodation with spectacular views overlooking Lake Rotorua & 10 minutes drive to Rotorua town centre. Clive Thomson and the team at EMA Bay of Plenty have supported pitch night since its inception in 2014. ASB wants to help Kiwi businesses keep up with their ambitions, whether that’s growing a global business, becoming the best in their field, building a stronger local community, or even creating a lifestyle where they can spend more time with their family. Property Inspect BOP will assist you with providing property inspections, Safe & Sanitary Reports, advice and quality workmanship, while making the process easy and enjoyable for you. Rotorua X is making a real impact on the Rotorua economy helping create a vibrant and energetic business and charitable community. We would be thrilled if your organisation decided to partner with us to help inspire and provide leadership to the Rotorua business community. 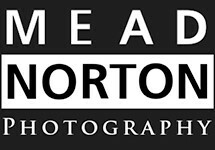 We have a range of sponsorship packages available to suit organisations and budgets of any size and shape. At Rotorua X, we are a flexible bunch and we will work with you to explore how we can best support your sponsorship goals and objectives. By becoming a sponsor you become part of the great Rotorua X fraternity and get all the kudos from being associated with such an innovative group. The icing on the cake is the added exposure your organisation will get on Rotorua X e-newsletters, websites, event notices and the like. As all businesses we do prefer sponsorship to be paid up front, but understand the constraints of cash flow on smaller organisations. We offer a ten-month payment plan for all sponsorship packages as well as a discount for multiple year agreements. Check out the 2018 Rotorua X Pitch Deck with all the benefits and sponsorship packages or contact us today, so we can develop a sponsorship package to suit you.